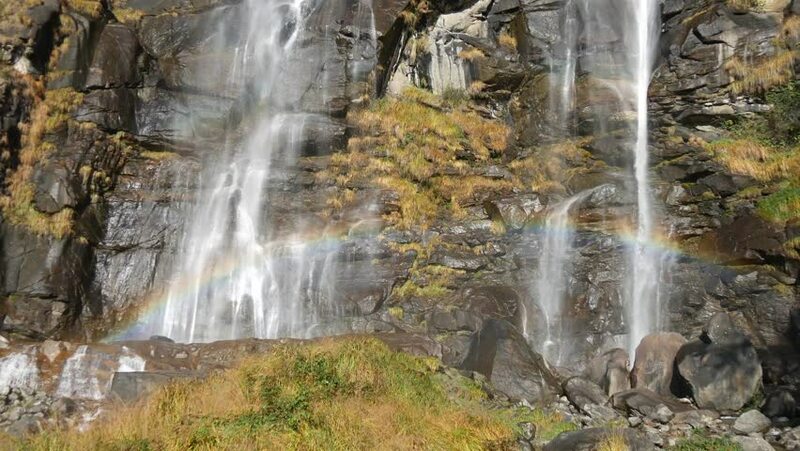 a view of the waterfalls Acquafraggia at Piuro, Lombardy, Italy and a rainbow. hd00:16Mid shot of the amazing waterfall at Canela in Southern Brazil. 4k00:20Picturesque stage waterfall in a forest of Caucasus. Zmeika.